ha ha. Very nice artworks some are even way fancy ! I remember playing pogs with friends back then. Pls. visit my retro gaming BLOG for my retro gaming collections and adventures. With photos ! yeah I used to collect these all the time as a kid. Found them while sorting through a heap of crap not long ago, took me back lol. Got the standard pogs, a pirates series, a simpsons series and a sonic the hedgehog series. 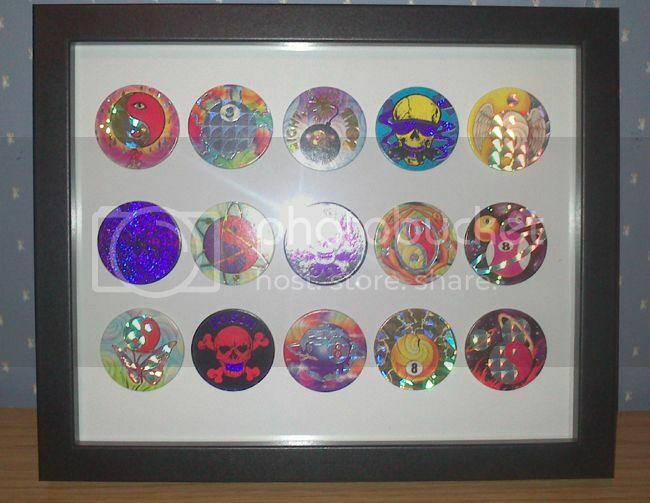 Kinda think tazos killed pog because kids started collecting them instead. In my area anyway. Ps sorry for reviving what could be an old thread, was just a spin out is all. I love these things with the psychadelic themes and general WTFness of the designs. Main reason for making this post however is because I have a load of spares left over that I'm offering up to anybody who might be interested (completely on the house of course). Mix of skulls, eight-ball, uin/yang and other weird designs. They're pretty much worthless so I'll probably bin them if there are no takers. 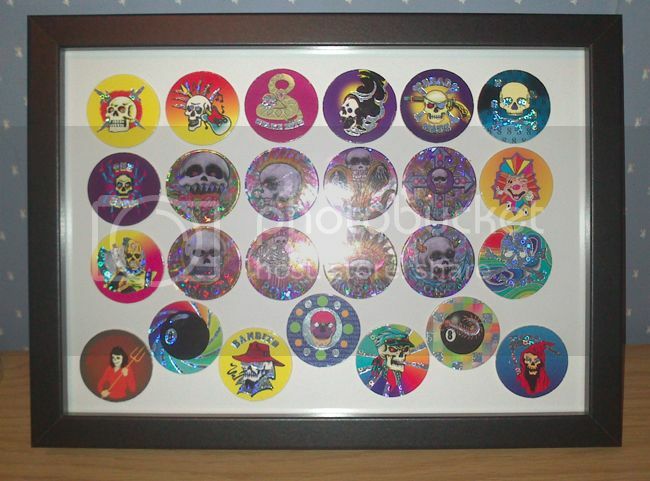 Yes, I used to collect Pogs! It seemed to be quite a craze for a while. that top picture is making my (apparently, new) OCD twitch. a lot.